OTI Holding participated in World Travel Market – WTM – London exhibition for the sixth time, which is one of the most important tourism fairs in the world, and was held in London-UK on November 2-5, 2015. 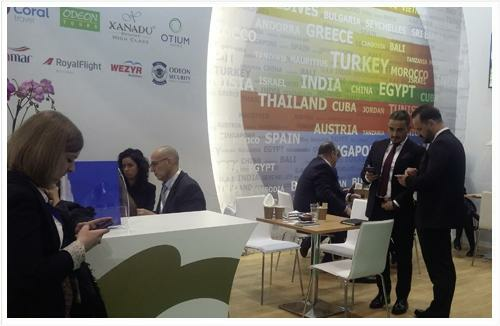 The relevant managers of affiliates and departments visited the fair where OTI Holding participated with a stand of 24m2 located in Global Village section, as well as the Members of the Board of Directors and coordinators of OTI Holding. The exhibition attracted intensive attention especially on the second day, and we had the opportunity to come together with many hoteliers and business partners with whom we are collaborating.